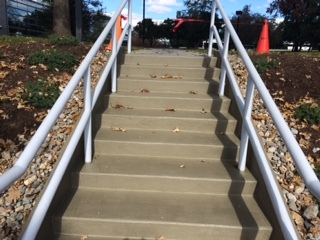 Faced with safety issues caused by the spalling and cracking of the heavily used exterior concrete stairs, OTN delivered much needed repairs. The failing areas were patched and restored to even surface areas and coated with a cementitous urethane providing resistance to abrasion and harsh weather conditions. The task was to find an industrial painting contractor within the Maryland Virginia region with the experience and knowledge to prep and paint the failing surfaces of thirty-three toll plazas on Dulles International Airport’s Toll Road without disruption to the heavy traffic volume accessing one of the world’s busiest airports. The Industrial Coatings Contractor chosen to travel to Virginia to stage and complete this complex project was O.T. Neighoff & Sons, Inc.
A Baltimore institution since 1930, Meadowbrook has evolved from an outdoor swimming and social club to a state of the art Aquatic Center and Exercise Facility. Meadowbrook Aquatic Center still features the large outdoor pool for which it is so well known, as well as the large indoor Pool House constructed in 1994 and the adjoining exercise facility with panoramic glass windows that overlook both the indoor and outdoor pools. 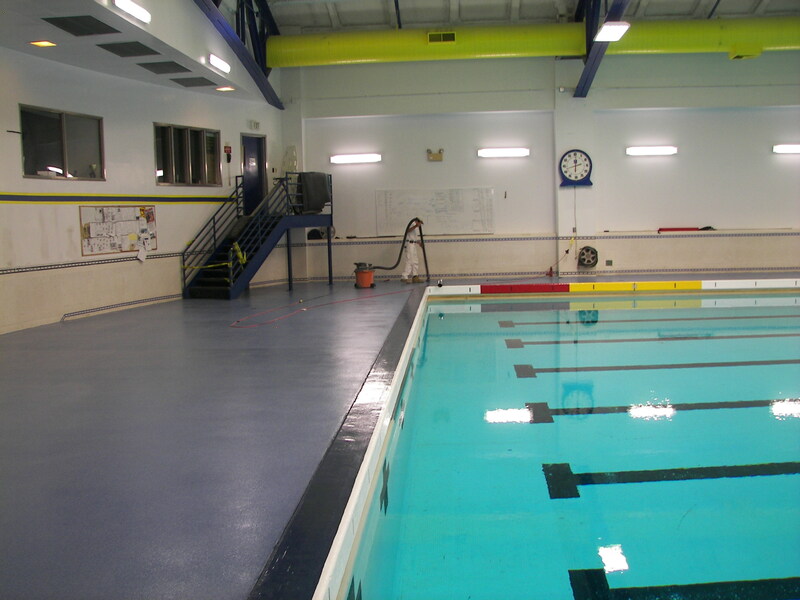 The Indoor Pool Building holds a 50-meter, six lane Main Pool, a Therapy Pool and the Indoor Hot Tub. 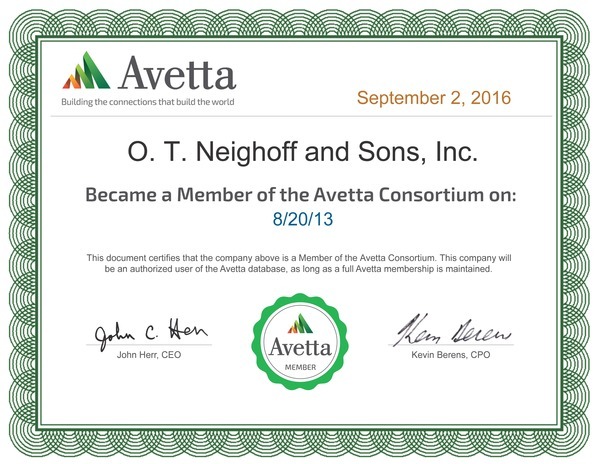 Avetta, formerly PICS Auditing is a third party Review Company that assesses contractors’ strengths in safety performance and business management for corporations with regional, national and global operations. Approximately every year, O. T. Neighoff is rated by Contractor Score, which is a company that assesses the financial strength of contractors. 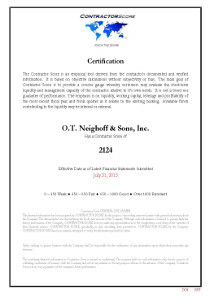 O. T. Neighoff's 2013 Contractor Score is 2124, which places us in the "Excellent" category for contractors. O.T. Neighoff & Sons, Inc. is please to have been consistently awarded Gold Level STEP Safety Awards annually since 2011 by Associated Builders and Contractors, Inc., Baltimore Metro Chapter.